With our regular critic Kim busy on another theatrical mission, I was pleased to get hold of our press tickets for the opening night of Dead Simple; on at the Palace all this week. 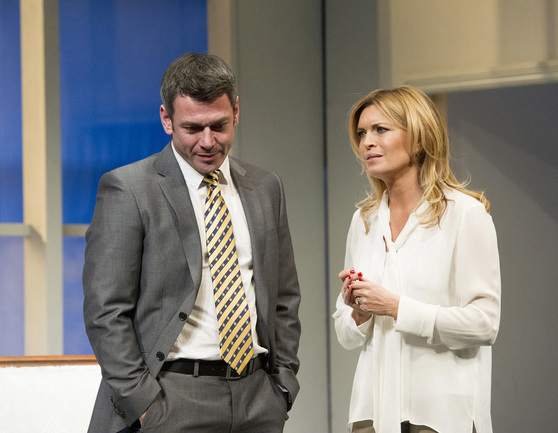 Being a regular Holby watcher, I had great expectations of Tina Hobley in her first stage role for 12 years, following her long running role as nurse Chrissie Williams in the TV drama. The plot is based on the premise that you just do not know who you can trust and everyone is secretly plotting against you, a fear I’ve had since boyhood. Unfortunately or fortunately depending on your viewpoint, I left the Palace with these fears even more deeply embedded in my psyche than ever before. With the audience applauds ringing in my ears and a lot of contented faces shuffling towards the theatre exits; I began to think it must be me; I must get out more; are these negative feelings because I’m not in the know about theatrical techniques? So I decided that before embarking on this review I should check out what has been said before. This didn’t help my paranoia at all, with reviews from Brighton (they are all Theatre lovies down there, aren’t they?) talking about; edge of your seat; chilling; many plot twists and turns, they must have enjoy it; Dartford much the same. I had to search in the highlands, well Edinburgh to find a review, which calmed me down and made me think I’m not the only one who found this thriller not very thrilling; this plot not very intriguing; and some of the acting not very creditable. Successful property mogul Michael and his best friend and business partner Mark, are planning Michael’s imminent stag night. The early banter between them got me off to bad start. A Stag prank goes badly wrong leaving Michael buried in Ashdown Forest and all his buddies dead in a car crash. 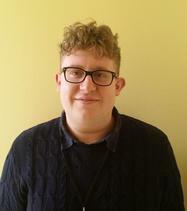 With nothing but straw supplying much needed oxygen and a walkie talkie as a link to the outside world of Davey, a young man with learning difficulties, played very convincingly by Josh Brown in his first theatre role. I wish the two police officers had interviewd me before going off on an odd comedy thing, which seemed to be out of place and took away any tension, tension being that of wet string. At last! the intermission; complimentary drinks and the excitement reached it peak with my wife’s last minute visit to the loo; will she get back before curtain up? well that was a highlight. Back to our seats in the nick of time and hoping the second half would prove that I have been missing something that the rest of world knows and I don’t because of my alien upbringing. With a couple of more twists in the plot, which were needed to pad this thriller out for another forty minutes, including a couple of bodies and a trip to Cayman Islands; the long, too long, arm of the law overcomes and justice is seen to be done. I can get back to planet Grumpy far away in the galaxy of Hard to Please.